The festive season is already upon us and what better way to celebrate than by getting a new set of wheels. We are not only talking about just cars here -- today we have shortlisted cars which are not only capable daily drivers but also pack the grunt to satiate your need for speed. And that too without burning a hole in your pocket. 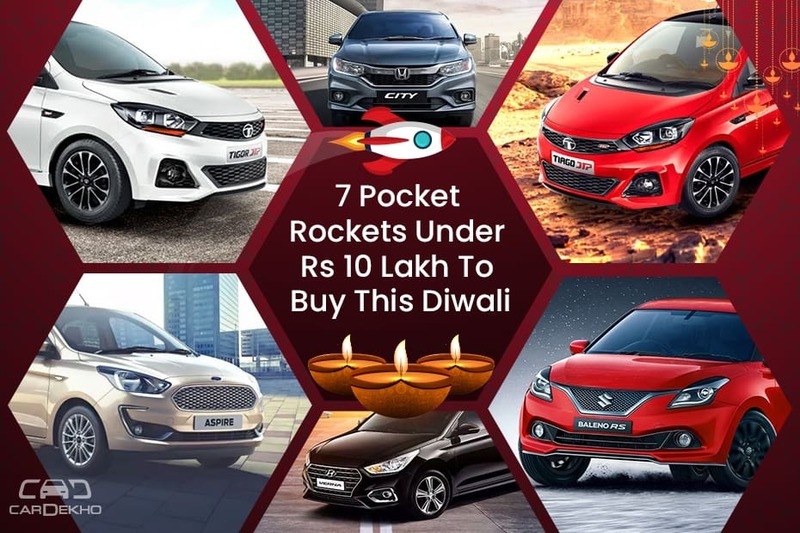 So, without further ado, here are seven sub-10 lakh rupee performance-oriented cars you can drive home this Diwali. 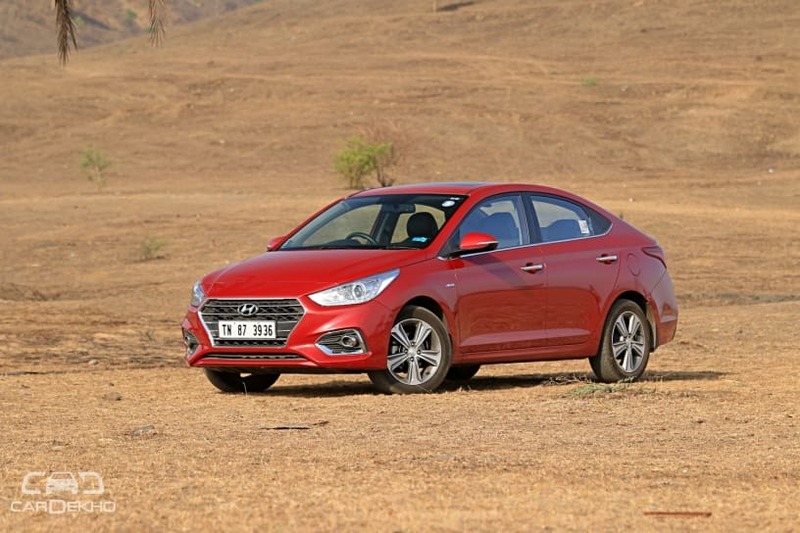 The Hyundai Verna is the car with the least power to weight ratio here. Although it is among the most powerful cars in the sub-10 lakh bracket, its high weight of 1228 kg is the reason behind its comparatively low power to weight ratio. It is powered by a 1.6-litre diesel engine that makes 128PS/259Nm with a 6-speed MT. It is also available with a 6-speed AT but the base-spec automatic variant is priced at Rs 11.87 lakh (ex-showroom Delhi). Even with manual transmission only the E variant is available under the Rs 10 lakh bracket. Since it is a base variant, it gets basic features only. For safety it gets dual front airbags, ABS with EBD and Isofix child seat anchors. Other features on offer include day/night IRVM, adjustable front headrest, front and rear power windows, manual AC and a cooled glovebox. The Baleno RS, as the name suggest, is the sportier version of the Maruti Baleno. 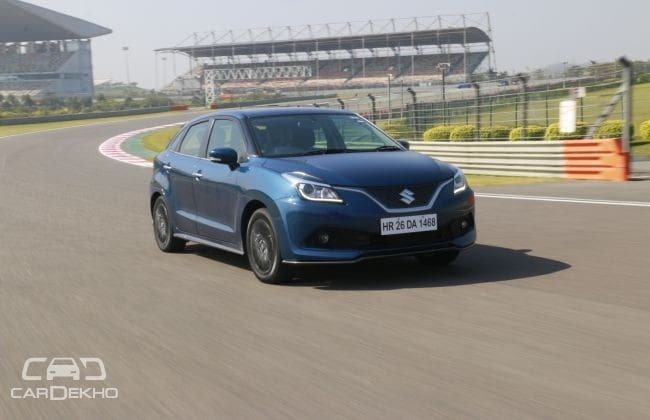 It is powered by a 1.0-litre Boosterjet petrol engine that makes 102PS/150Nm, 18PS/35Nm more than the standard Baleno. Like the standard Baleno it also get a 5-speed MT, but it has been tuned to suit the sporty character of the car. Suspension is a bit on the firmer side and it gets rear disc brakes, unlike the standard hatchback. But despite all these modifications, the RS is as practical as the standard Baeno. As far as features are concerned, the RS shares equipment with the top-spec Balneo Apha. For safety it gets dual front airbags, ABS with EBD and Isofix child seat anchors. Other features on offer include automatic bi-xenon headlamps with LED DRLs, 16-inch alloys, a 7-inch touchscreen infotainment system with Apple CarPlay and Android Auto, auto climate control, push button start, rear parking sensors and a reverse parking camera. After the Verna 1.6-litre diesel, the Verna 1.6-litre petrol has also managed to make its way into this list. It 107.61 PS/tonne power-to-weight ratio is almost similar to that of the Baleno RS but is considerably better than its diesel counterpart. 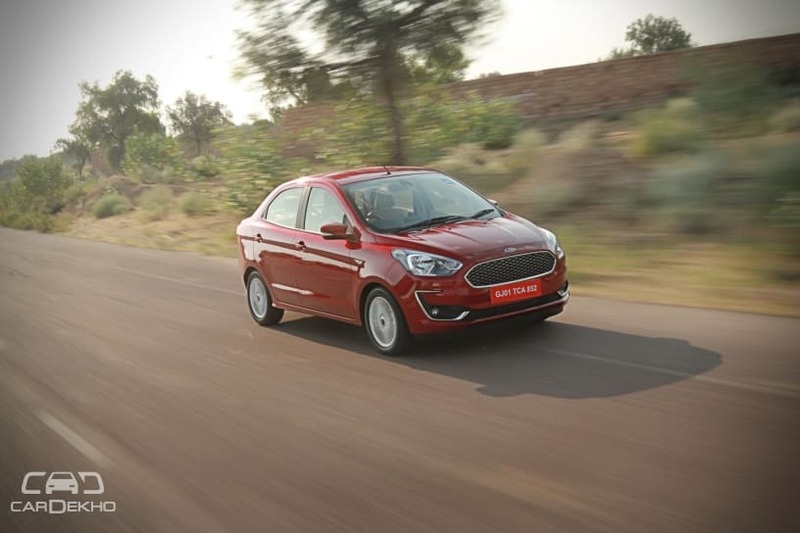 It is powered by a 1.6-litre petrol engine that makes 123PS/151Nm with a 6-speed MT. It is available with a 6-speed AT as well but its prices start from Rs 10.68 lakh. Like the diesel, only the SX MT variant of the 1.6-litre petrol Verna is available under Rs 10 lakh -- but unlike the diesel, here it comes loaded with features. For safety it gets dual front airbags, ABS with EBD and Isofix child seat anchors. Other features on offer include automatic projector headlamps with LED DRLs, fog lamps, electrically adjustable ORVMs, 16-inch alloys, rear parking sensors with camera, 7-inch touchscreen infotainment system with Apple CarPlay, Android Auto and Mirrorlink, height adjustable driver seat, auto dimming IRVM and auto climate control with rear AC vents. Tata recently introduced the JTP twins in India and the Tigor JTP is one of them. 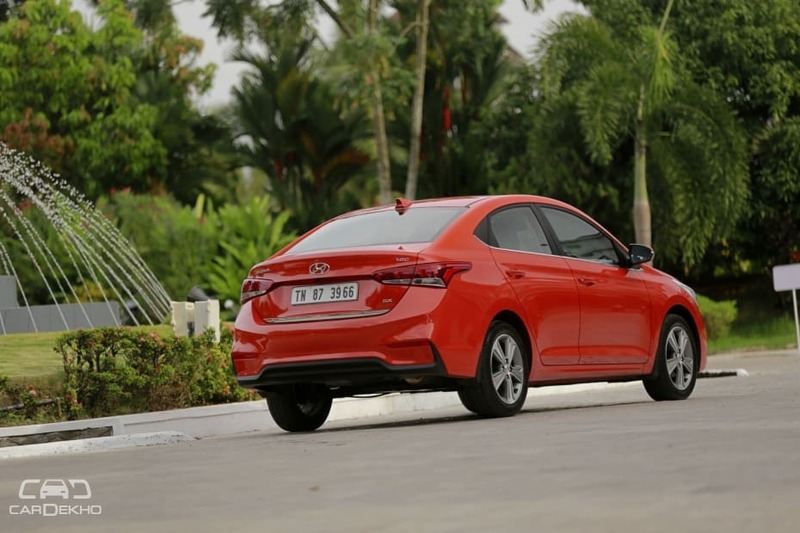 It is essentially a performance-oriented variant of the Tigor sedan, which received an update recently. The performance sub-4m sedan comes with the Nexon’s turbocharged 1.2-litre petrol engine that makes 114PS/150Nm, 29PS/36Nm more than the standard Tigor, which is powered by a 1.2-litre petrol engine. Like the standard Tigor, the JTP also gets a 5-speed MT but it has been tuned to suit the sporty character of the car. 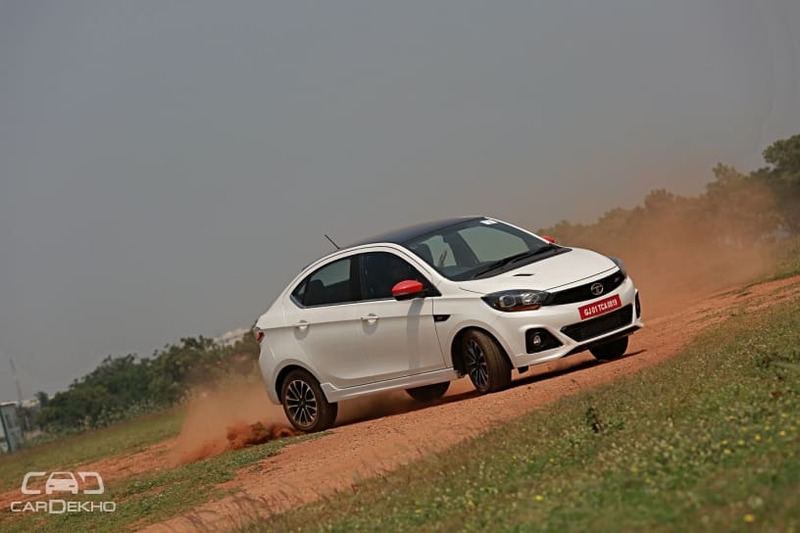 Other mechanical modifications done to amplify the hatchback’s sporty character include 4mm lower ground clearance, bigger wider 15-inch tyres, tuned suspension and a tweaked steering column. As far as features are concerned, the Tigor JTP shares its features list with the top-spec Tigor except for the 5-inch touchscreen infotainment which has been borrowed from the pre-facelift Tigor. Features on offer include dual front airbags, ABS with EBD, auto climate control, rear parking sensors with camera, electrically adjustable ORVMs and projector headlamps. 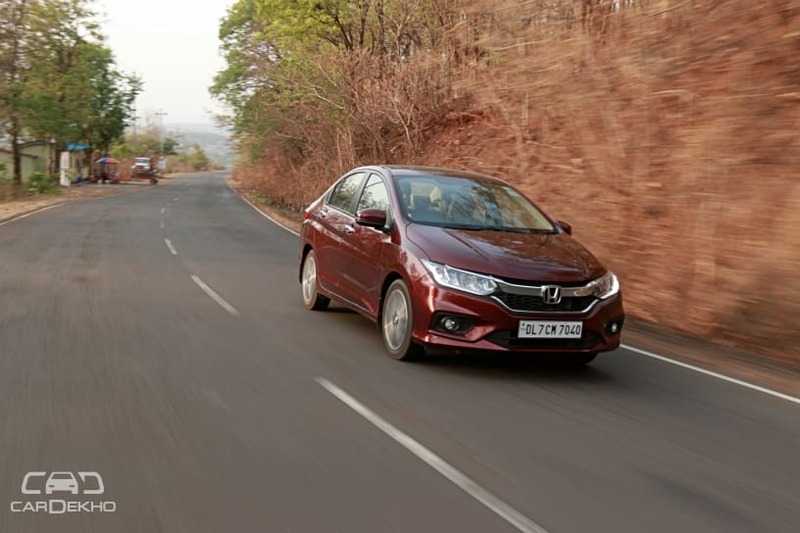 The Honda City petrol is another family sedan after the Verna that has managed to makes its way to this list. All thanks to its tried and tested 1.5-litre petrol engine and a light kerb weight. The 1.5-litre petrol engine puts out 119PS/145Nm with a 5-speed MT. It is available with a CVT as well but the base-spec City CVT is priced at Rs 11.78 lakh. Even with manual transmission, only the S and SV variants of the City are available under Rs 10 lakh. As far as features are concerned, since the S is the base variant, it gets basic features only. For safety, it is equipped with dual front airbags, ABS with EBD and Isofix child seat anchors. Other features on offer include LED DRLs, 2-din music system, power windows and tilt adjustable steering. The SV, on the other hand, is quite fairly equipped. Over the S it gets auto climate control with rear AC vents, cruise control, shark fin antenna, height adjustable driver seat and steering-mounted controls. Among these two, we will suggest you to go for the base-spec S variant and get the required features fitted from the aftermarket as the SV variant is overpriced in our opinion. The Figo Aspire is the car with the second highest power to weight ratio in the sub-10 lakh rupee bracket. Unlike the standard Aspire, which gets a 1.2-litre 96PS/120Nm with a 5-speed MT, the Aspire AT comes with the EcoSport’s 1.5-litre 123PS/150Nm petrol engine with a 6-speed AT. Since the Aspire AT is available in the Titanium variant (second-to-top), it comes loaded with features. For safety it is equipped with dual front airbags, ABS with EBD, traction control, electronic stability program and hill launch assist. Other features on offer include 7-inch touchscreen infotainment system with steering-mounted controls, auto AC, rear parking sensors with camera, electrically adjustable and foldable ORVMs and push button start. The Tiago JTP not only has the best power-to-weight ratio at 112.2PS/tonne here, it is the most affordable as well. It undercuts its nearest competitor, the Aspire AT, by Rs 2 lakh. The Tiago JTP is basically a performance-oriented version of the Tata Tiago. It is powered by the Nexon’s more powerful 1.2-litre turbocharged petrol engine that makes 114PS/150Nm, 29PS/36Nm more than the standard petrol Tiago. In addition to a more powerful engine, the ground clearance of the Tiago JTP has been lowered by 4mm. 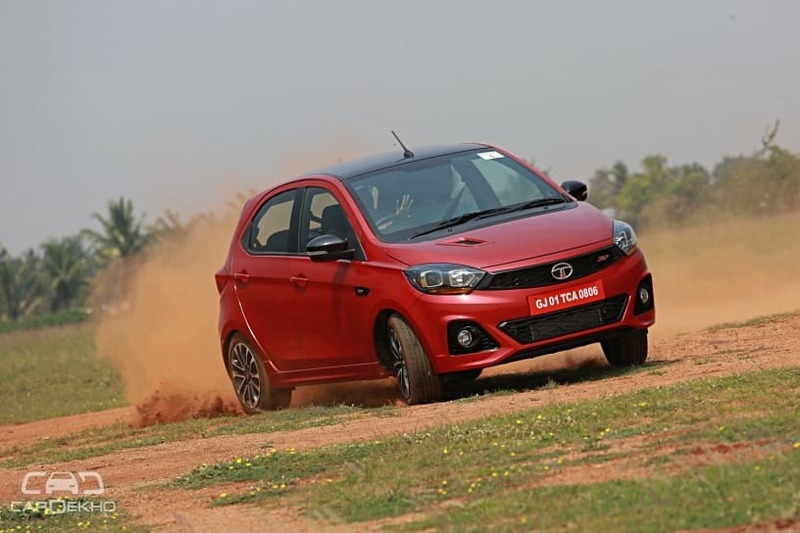 It gets bigger and wider 15-inch alloys and the steering has also been tinkered with for better dynamics, amplifying the overall sport nature of the car. As far as features are concerned, the Tiago JTP shares its features list with the top-spec Tiago except for the 5-inch touchscreen infotainment which has been borrowed from the pre-facelift Tigor. Features on offer include dual front airbags, ABS with EBD, manual AC, rear parking sensors, day/night IRVM, tilt-adjustable steering and electrically adjustable ORVMs.